Stocks bounced back last week on improving trading volume as a “melt up” ensued and short sellers ran for cover. The Dow Industrials gained over 1,250 points (+5.16%) on the hope that the Fed may soon tap the brakes on raising key interest rates. The S&P 500 rose 4.85% and the NASDAQ rose 5.64%. Wall Street is now expecting a December Fed rate hike, but maybe just one key interest rate hike in 2019. On Wednesday, Fed Chairman Jerome Powell got both bond and stock markets excited by appearing to be more dovish in a speech before the Economic Club of New York. Specifically, Chairman Powell said, “Interest rates are still low by historical standards, and they remain just below the broad range of estimates of the level that would be neutral for the economy … that is, neither speeding up nor slowing down growth.” By saying that rates are “just below neutral,” Powell basically implied that the Fed might be raising rates only once or twice more. In his best Fedspeak, he seemed to be implying that the U.S. economy is close to meeting the Fed’s mandate of promoting maximum employment with price stability. Over the weekend, all eyes were on President Trump at the G20 meeting in Argentina, where he and Chinese President Xi Jinping met during a long steak dinner to hammer out what was later announced as a 90-day truce to work out the details of a cease fire in the trade war. Trump agreed not to raise tariffs on $200 billion of Chinese goods from 10% to 25% on January 1. China agreed to buy a “very substantial” amount of agricultural, industrial, and energy products, and both sides agreed to open up their markets. Overall, last week was an encouraging week. I am happy to see the short sellers get squeezed and for the stock market to resume “melting up” on improving trading volume. Despite last week’s strength, financial markets will eventually have to deal with (1) Brexit, (2) a detailed resolution of the trade deal with China, (3) the upcoming FOMC meeting, and (4) a continuing war of words by President Trump toward the Fed. 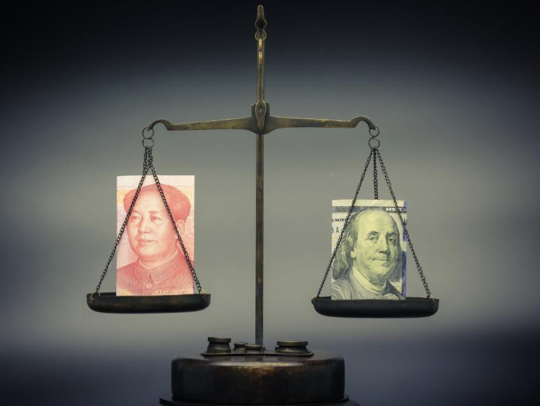 After the best week in seven years, Bryan Perry still has concerns about the China accord and economic indicators, preferring dividend stocks in 2019. Gary Alexander counters the recent gloom with a closer look at the many other times this bull market has corrected 10% or more. Ivan Martchev may be our most bullish columnist this week, predicting a new high in December or January and no recession before 2020. Jason Bodner notes the return of the growth sectors and the long-awaited return of buyers over sellers, while I cover the escalating war of words by President Trump vs. the Fed Chair over Fed policy decisions.